This fine looking new style fedora is perfect for men and women looking for a unique style. 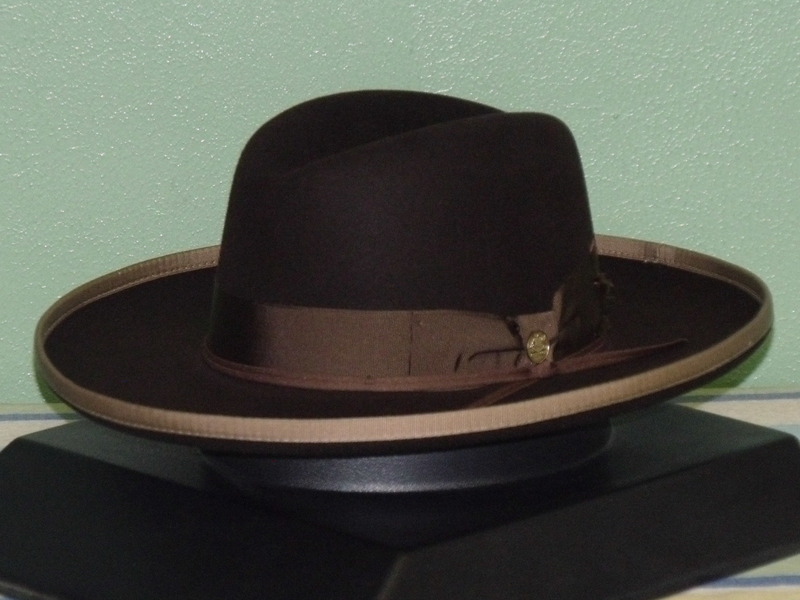 Made in the USA by Stetson it is constructed of firm Royal Deluxe quality fur felt. It has a 3 3/4" pencil rolled, bound edge brim and a 4" Center Dent crown accented with both, a wide and narrow grosgrain ribbon band and a Stetson pin. Other features include a roan leather sweatband and full satin lining. Check out all our new additions as well as the classics today!